Used Cars Surrey BC | Used Cars & Trucks BC | Skyline Auto Group LTD.
A+ Princing! Come see us today. 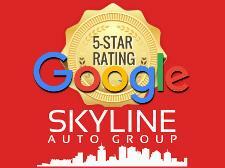 Skyline Auto Group is the One Stop car dealership for all Makes and Models of both new and Used cars. We offer Loans on Low interest rates and assure you of quick and easy auto loan approvals. Whether it is New Credit/No Credit or Bad Credit..No problem. We can also get you pre-approved. If interested, apply online now ! Use the Loan calculator to decide your budget and get approved. We can also help you get Cash Back o.a.c ! Do speak to us about our great Trade –In offers ! Get the best value of your old car and take away a Like new car at a reasonable price. We are located in Surrey and provide easy access from adjoining areas of Langley, Delta, Fraser Valley, Vancouver and Burnaby. Visit our showroom to choose from more than 150 vehicles from our inventory and Drive out with you Dream Car at a Payment you can afford !! !